I started surfing before the internet, it was rubbish, it’s better now, but I did get used to magazines, books and videos being the only form of surf media I could consume. One night George Greenough’s Crystal Voyager was on Channel 4 and my friends dad taped it, we watched it about 20 times, The Inside by Scott Carter was rewound and re-watched whenever I could get Titanic out of the VCR. This is what originally inspired me to start videoing surfing, then they made DSLR’s with video and I could take photo’s too. 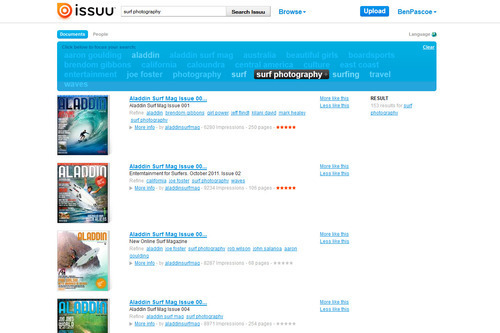 There will always be a place for printed media, it’s never going to be quite the same, but here’s my top 5 run down of magazines and books that are worthy of your time when learning surf photography. This is a book by Chris Power in which he interviews surf photographers, 15 of them, some you know and some you probably don’t, they talk about the gear, the lifestyle and relate anecdotes. I definitely got a lot from the book, the gear stuff is interesting but the general insight into the different photographers is worthy of your time, obviously the photo’s are awesome too and it’s one you can dip in and out of so it’s ideal as a coffee table book. 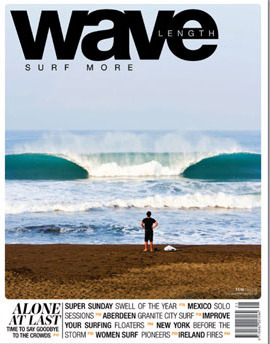 You won’t learn techniques or how to get ahead necessarily, but it’s good to get the perspective from the guys who do it for a living, that’s not my goal in this hobby, I’m into it for the fun, and having read this cover to cover I found myself even more convinced that pursuing a career in surf photography would squeeze most of the fun out of it for me. After reading the history of the photographers you’ll come to the same realisation I did a while ago, a lot of top surf photographers started out bodyboarding, as a bodyboarder myself I understand it’s because putting yourself in the best position to get inside the tube is what sponging and a lot of water photography is all about. I already mentioned their Instagram feed, and gushed about the focus on quality photography so I’ll keep it brief, they have excellent shots, occasional features on lenses and housings (Aquatech housings in particular) , they often talk about the settings, gear and post processing used for a photo. If you’re into bodyboarding it’s a plus but I’d recommend any surf photographer pick up a copy if you can and check it out, they even have a digital edition for IOS devices so there’s a good way to test it out. 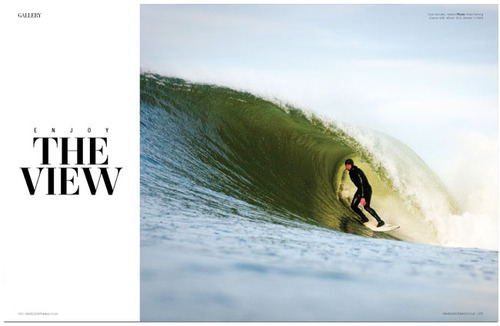 Wavelength is a UK surf magazine, so there’s plenty of UK coverage which is interesting from a Brit’s point of view, but the main reason it’s got a place on this list are the Behind the Shot feature and the captions in the Gallery section. Behind the Shot is written by photographer Tim Nunn and features a different type of surf shot each issue, I don’t know how long it’s been running but I’ve probably seen a half dozen so far, issue 220 happens to be on my desk now and the shot highlighted is Remote Flash. 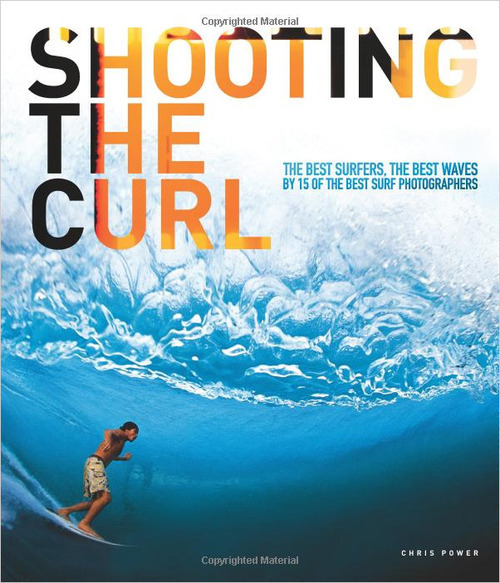 The article goes into details about the history of the shot, what you need to take it and usually interviews the photographer who’s shot is featured about the actual photo, there’s no shying away from technical details like most photographer led pieces, it’s a great feature that pretty much makes it worth buying the magazine on it’s own if you’re learning to shoot surf photography. However, if you’ve flicked through and seen it’s not a shot you plan on ever re-creating (I remember one of them was a helicopter shoot) and you need another reason look no further than the gallery, in my issue there’s 5 back to back double page spreads which are made infinitely more interesting by having the camera, focal length, aperture and shutter speed listed in the caption. So for instance I can tell you that this photo of Cain Kilcullen, was shot by Pete Fleming with a Canon 40D using an 85mm lens at an aperture of f5.6 and a shutter speed of 1/1000 of a second. I love the idea behind this, all the information is in the Exif data on the shot after all so it’s just a case of printing it there in the caption but it gives each photo a whole new level of interest for anyone wanting to take surf photo’s themselves. So it’s not strictly a magazine or book but rather an on line publishing platform, the best bit about it is the variety of publications that you can find on their, sometimes it’s whole issues of magazines, other times just a feature or two, but if you’ve got a spare 20 minutes while you wait for your 32GB SD card to import it’s a great place to spend it. 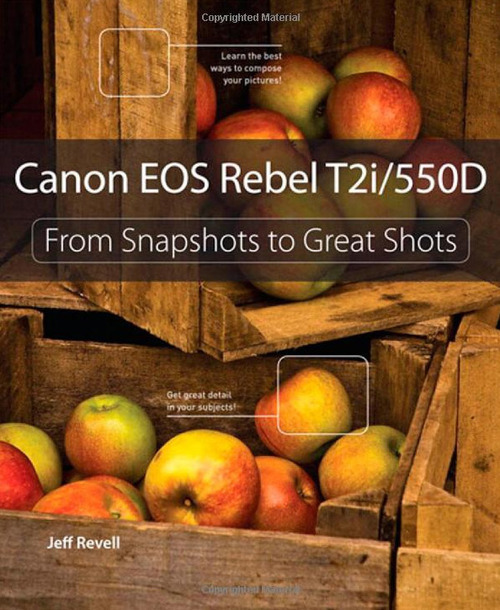 For example the Snapshots to Great shots book for the Canon 550D was a great, quick read for picking up the basics of shooting with a DSLR, if you’re like me, pretty much self taught but wanting to jump straight into taking photo’s, I’d recommend grabbing a book like this and having a read as you start out. Not everything will be related to surf photography but just learning the basics of what different aspects of a camera does and where to find the controls even will put you streets ahead when you want to get into taking shots. Treat it like learning basics of surfing, if you’ve never paddled out into a line-up before, never learned to read waves or the etiquette of surfing, you are not going to get many good pictures. If you know all this you can concentrate on taking the photo, likewise if you know your camera and can change settings without thinking etc. it becomes second nature you can concentrate on being in the right place at the right time.